The Vintage Club. Golf Vintage Indian Wells. The Vintage golf course details and information about The Vintage Club in Indian Wells, California. 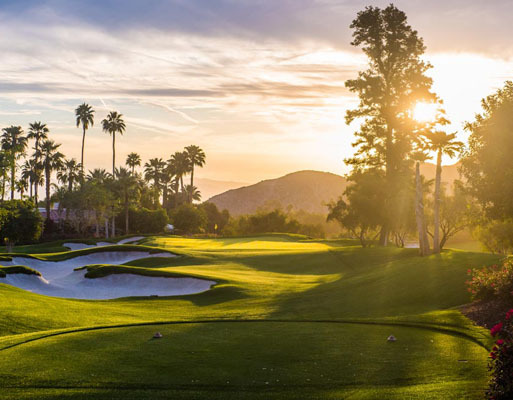 The Vintage Club Indian Wells is a private golf club in California. It is in a natural cove at the base of Eisenhower Mountain. Vintage Golf California has two 18-hole championship golf courses: The Mountain Course and the Desert Course. The club offers daily play, tournaments, and golf lessons. It is one of the most prestigious and exclusive country clubs in the United States. In addition to golf, the club also features tennis courts, a fitness center, a spa, and the LakeView Grille Clubhouse for dining. For details on a great public golf course in nearby Palm Desert, check out Palm Desert Country Club.